For 30 years, Jesus was a humble carpenter. Now He will begin His public ministry and build His spiritual temple in the hearts of His followers. Thirty is the age of maturity when a man could serve in the tabernacle according to the Jewish scriptures. (see Numbers 4:3) Jesus could not begin His public ministry until this age in order to fulfill this scripture. Jesus will do in the spiritual what He did in the natural. He built houses as a carpenter. Now He will begin building the spiritual house of His Heavenly Father. God oftentimes takes our natural gifts and uses them for His supernatural kingdom. After all, He is the Giver of both our natural and supernatural gifts, so we are to use them to bring glory to Him. Jesus' ministry in the Gospel of John begins with the wedding at Cana. Jesus was making His way to Cana when He called His first disciples to leave everything and follow Him. Cana is in Galilee. The population of Galilee was made up of both Jews and Gentiles. It had been influenced by Greek culture, so many Greeks (gentiles) lived there as well as Jews. Because Galilee had foreign influence, many Jews didn't consider it pure and, therefore, second class. The Lord always intended that He would have a Body of believers made up of both Jews and Gentiles. This wedding feast took place outside of the territory of Judah. Jesus and His disciples have left the Jordan Valley (low place) in Judea to go higher to Cana and this wedding feast. Jesus is spreading His ministry beyond Jerusalem and Judah. The transformation of the water into wine will be the first of seven miracles Jesus will perform in the Gospel of John. The wedding feast at Cana is a foretaste of another wedding Jesus will have – the wedding supper of the Lamb. Revelation 19:7: For the wedding of the Lamb has come, and His bride has made herself ready. The host was not ready in this earthly wedding. They ran out of wine, but the wine that Jesus gives – the wine of His blood that saves, His love, grace, truth, abundance and blessing will never run out. These are eternal and in fullness in Christ. The Incarnate Word of God – Jesus – will now be at work establishing the Kingdom of God on earth as it is in heaven. Jesus' ministry began at an earthly wedding, but will end with a spiritual wedding – His own. This earthly wedding is a small taste of what it will be like to live with the Godhead for all eternity. Jesus will reveal His transforming power through the fullness of the Holy Spirit within Him at this wedding. His disciples have been called. Now they must see His transforming power. Every believer in Christ is first called, then transformed by His powerful Word and Spirit. His earthly mother and His first five disciples (student-servants) have been invited to this Jewish wedding feast. Only His mother and His servants saw the transformation of the water into wine by Jesus. Christ's Bride must be prepared and clothed properly for her wedding. Revelation 19:8-9: Fine linen, bright and clean was given her (Bride of Christ) to wear. (Fine linen stands for the righteous acts of the saints). Then the angel said to me, “Write.” “Blessed are those who are invited to the wedding supper of the Lamb!” We are to be clothed with righteous acts done for our King and His Kingdom. Only the Word of God within us, the Holy Spirit and the righteous acts we have done for His Kingdom will go into the Heavenly place with us. These are the only things within us that are eternal. All of the rest – our fleshly ways, our earthly riches and possessions we have gained – are all wood, hay and stubble and will be burned up. This is why Jesus told His disciples and us to store up treasures in heaven. (Matthew 6:20). Jesus is our Treasure, and we are His treasure when He abides in us. The third day and the seventh day are the days of the Lord. 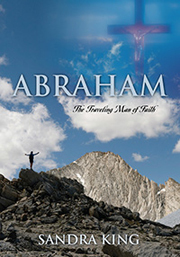 Abraham saw the place of sacrifice and resurrection afar off on the third day. Jesus said, “Abraham saw My day and was glad.” In type and shadow, Abraham saw Jesus' sacrificial death for atonement and His resurrection in the sacrificial offering of his only son Isaac on Mount Moriah. In essence, Isaac was raised from the dead by the Angel of the Lord stopping Abraham from killing his son. (Genesis 22:4) God would do this through His Son. At creation, God did a miracle on the third day involving water (Genesis 1:9-13) just as Jesus did a miracle involving water on the third day at this wedding. The third day represents the day of Christ's resurrection power and the day of the Lord.